Nowadays, the consumer behavior plays a crucial role in influencing business strategies, at the same time it can hugely contribute to realizing a sustainable economy. Brazil is among many countries that have adopted this notion and proved its validity. A “Solidarity Economy” came up there promoting sustainable consumption and production after the recession had hit the country’s economic situation in the 90’s. Being exemplary, made Brazil the venue of the fourth symposium on the future of Education for Sustainable Development (ESD), held by the United Nations Educational, Scientific and Cultural Organization (UNESCO). 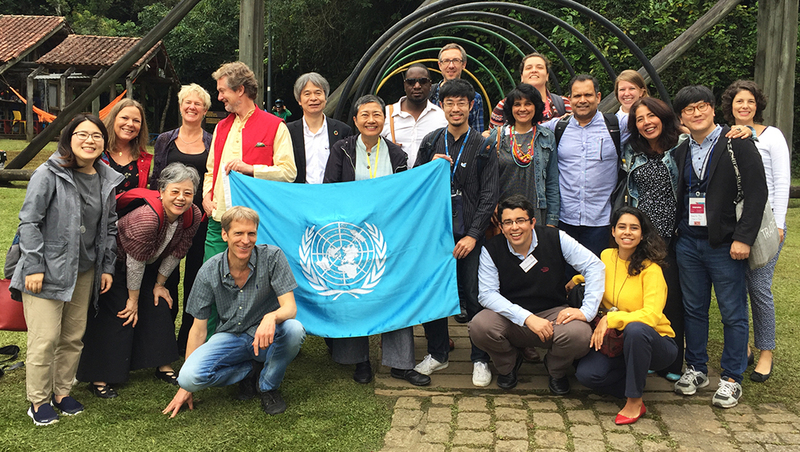 In Curitiba, the capital of the southern Brazilian state of Paraná, 16 education specialists, philosophers, environmental and economic experts from around the globe attended the symposium. 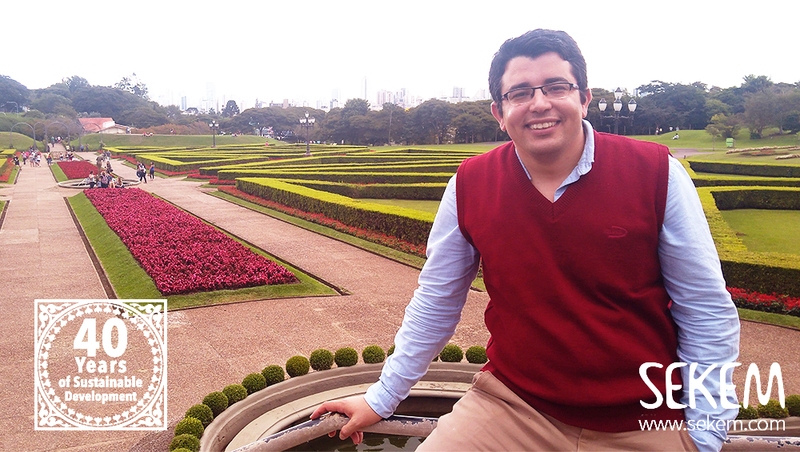 For SEKEM, Mohamed Anwar, ESD specialist and Assistant Lecturer at Heliopolis University traveled to Brazil. Besides representing SEKEM School, which is a UNESCO-affiliate since 2015, Anwar also introduced Heliopolis University for Sustainable Development into the symposium, which has its own department for Education for Sustainable Development. On the sidelines of the symposium, 20 high-profile business persons, who stand for promoting green markets met up with the 16 participants. Among them was Paulo Muro, a consultant in the area of sustainable business management who had been a guest at SEKEM around one month prior to the UNESCO symposium. In Brazil, with Katia Puchaski, he organized several visits for Mohamed Anwar, among others a presentation to International Business students at the Brazilian University PUCPR (Pontifícia Universidade Católica do Paraná). “That opened the door to a prospective cooperation and I hope that we will be able to initiate student exchanges with Heliopolis University soon,” Mohamed Anwar reveals. 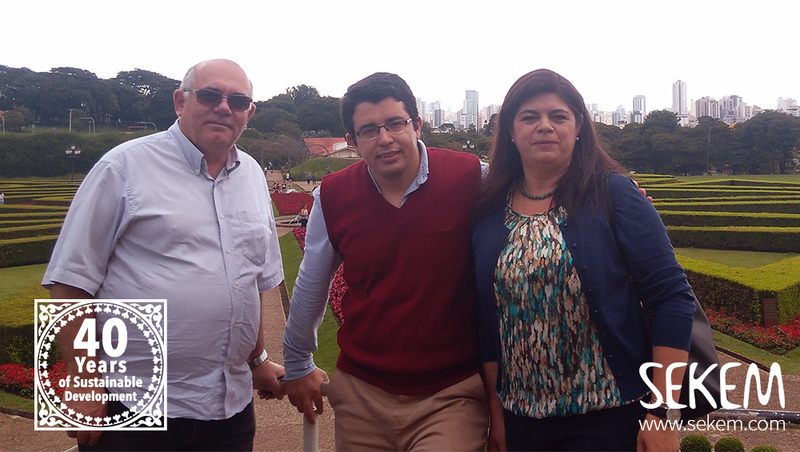 Mohamed Anwar with Paulo Muro and Katia Puchaski during their tour in Curitiba. 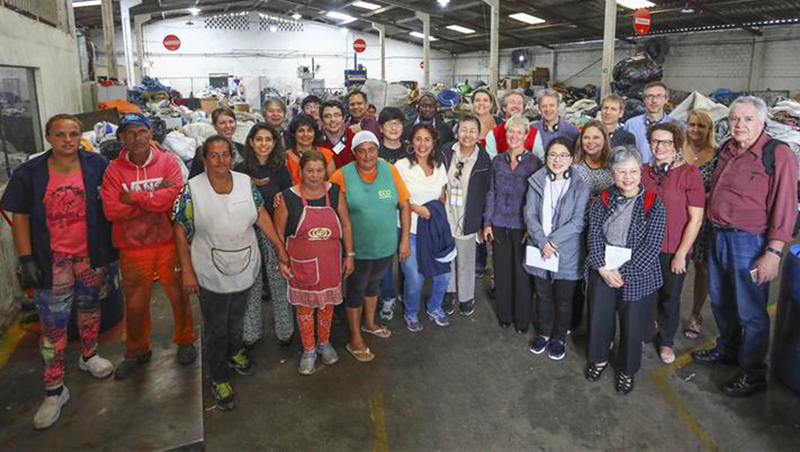 Besides, he visited the “Green Exchange” program, an innovative waste management program in Curitiba. In this project, people living in slums are encouraged to collect organic and recyclable waste, separate it, and deposit it at the nearest waste stations. In exchange for this work, people receive food, bus tickets, school books, and other useful items. The Green Exchange’s innovative solution has helped remove waste from slums and surrounding areas and increased awareness on waste. It has generated a number of employment opportunities which bring in more tax revenue so that the city benefits too: “A brilliant project that contributes to solving many ecological and even economic challenges. It would be fantastic to implement such a program in Egypt as well,” Anwar hopes. During the meeting discussions, Mohamed Anwar presented SEKEM’s recent ESD projects. For instance, the “Training of Trainers” sessions (TOT) which are provided to teachers and principals of UNESCO-affiliated schools in Egypt. “We aim at spreading the message of sustainable education among the teachers, as well as the students in public schools,” he says. “Thereby, the young generation should realize their responsibility towards the natural resources, and it will raise their awareness when it comes to sustainable purchasing and consumption.” The TOT sessions, as well as the ESD-kits provided by Heliopolis University to the teachers, are a part of the EduCamp project that brings schools and universities together in a structured mechanism. The projects work is aligned with the UN Decade Education for Sustainable Development, and the Egyptian Education Reform Policy. 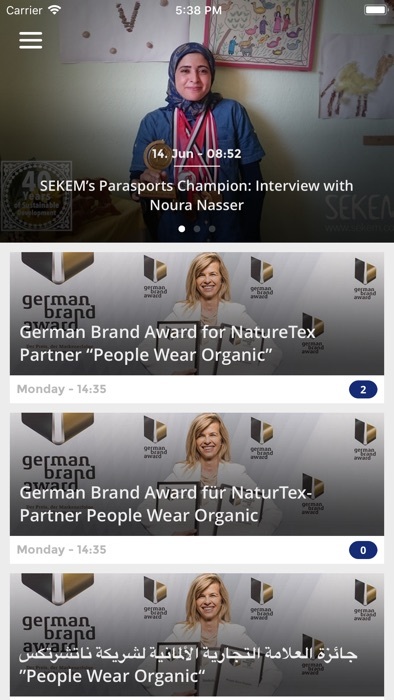 SEKEM is striving to implement recycling and cradle-to-cradle manufacturing in all its activity fields. Hence, for instance, the biological waste products are used in compost and the wastewater is treated and processed by biological methodologies. Until 2050, SEKEM aims to run all its activities by a 100% circular economy and to encourage the transitioning of other enterprises to a green and sustainable business model.